Click IMPORT button on the top to import your purchases. This is typically useful if you have recorded purchases in excel sheet or can export from your current software to import into EagleOwl. 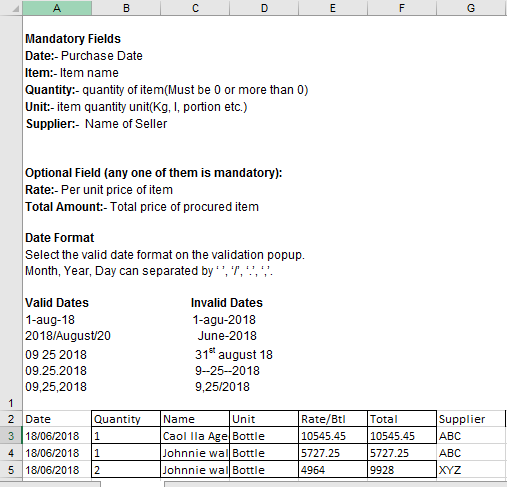 Click IMPORT PROCUREMENT DATA to upload the excel sheet. 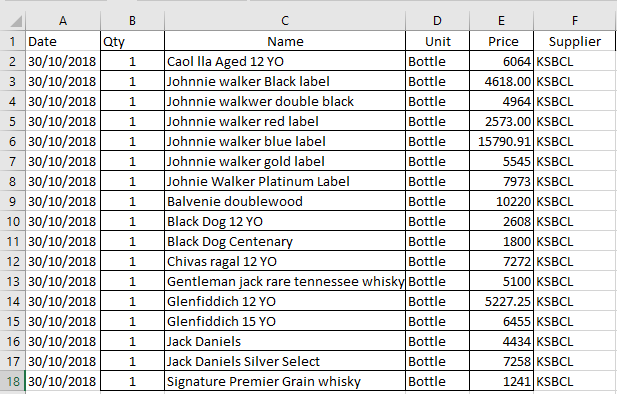 The excel sheet should contain columns for date, quantity, name of the item, unit, price and Supplier name. As shown in above example, if status of the data present is success, it will be uploaded in the PROCUREMENT -> BILLS page. Click on Go to procurement list to view the imported purchases. 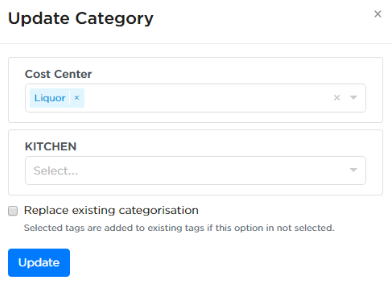 You have an option to tag the bills under the required category by selecting the imported bill as shown below. Now you see the bill is categorized. Click EXPORT button to download the procurement. Select the date range and Click EXPORT to download the procurement file. This provides an itemised listing of all purchases for the selected date range. The export format is similar to the import format.